I'm so excited to announce a new bundle my publisher is releasing in just two days called Visions of Love: 5 Psychic Romances--Release date: August 22, 2016. Available from these and many other fine internet retailers. Adventure, danger, and intrigue are taken to new heights by these five couples who each share a sizzling psychic connection. Between visions and dreams, mysteries and mysticism mingle to forge a love strong enough to withstand any obstacle. This bundle contains my first novel, In the Shadow of Greed. If you haven't had a chance to meet Jason McNeil and his amazing heroine, Sarah Tu, now is the time. And if you can't wait until Monday, you can begin the novel here:In the Shadow of Greed . If you have read Greed, thank you! I really hope you enjoyed Jason and Sarah's happy-ever-after as much as I enjoyed writing it. This is your chance to meet four authors you may have not read before, Glenys O’Connell, Shay Lacy, Rachel James, and Charmaine Ross. Take a chance and explore their wonderful novels for an amazing price of only $0.99 cents. 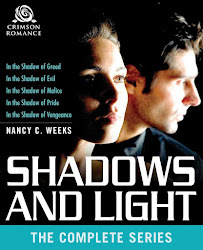 In the Shadow of Greed by Nancy C. Weeks Brilliant cryptologist Dr. Sarah Tu races against time and the warnings from her deceased sister to block the most dangerous Internet malware ever created—and it’s up to FBI agent Jason McNeil to make sure she stays alive long enough to do it. Saving Maggie by Glenys O’Connell Reporter Maggie’s psychic gift incites a serial killer to play games with her, and this madman seeks her death to bind them together forever. 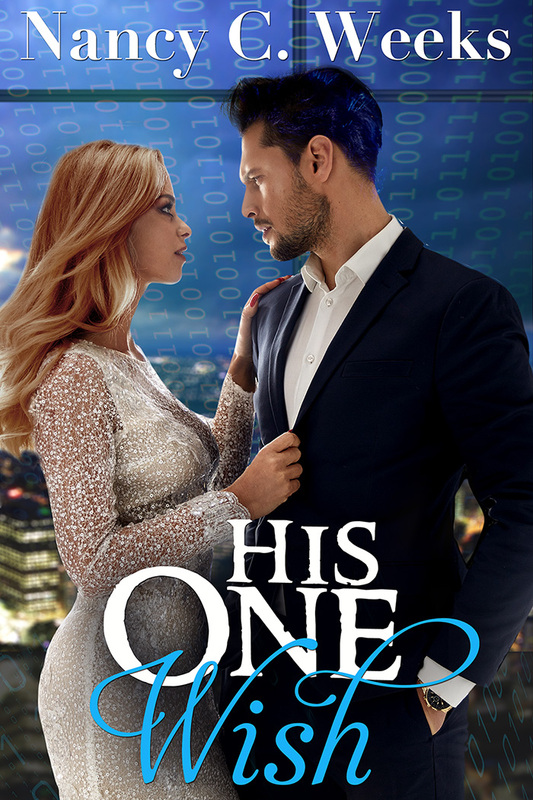 Only detective Joshua Tyler has the power to break this bond in time—that is, if she can make him believe her. Secrets and Lies by Shay Lacy Actor-turned-private-investigator Charlie Ziffkin traces a stolen sculpture to his hometown, where his path crosses again with former sweetheart Juliana Sanchez, a psychic who knows exactly what he’s hiding. The Kindred by Rachel James When it comes to being psychic, Janice Kelly is the best of the best. But she didn’t foresee falling in love with Adrian while fleeing the anger of thwarted ghosts in a haunted house. Cursed by Charmaine Ross After years of her scientist father’s abuse, Katia uses her genetically engineered “gift” of sight to destroy the lab that has been her living hell…and wakes up 100 years in the future. Can she trust the enigmatic Dr. Julius Freeman at her bedside? She’ll have to learn to—only together can they face down their demons for any chance at happiness. That is it for today. Have a wonderful weekend. As always, I hope you find time in your busy schedule to enjoy a great book. Take care and be kind to one another.